Mark your calendars. Name your captains. Evaluate your community’s needs. Pick your projects. Have fun! It’s really that simple. DG Dan Hall has named September 24, 2011, as District 6040’s “Service above Self – Service Day”. 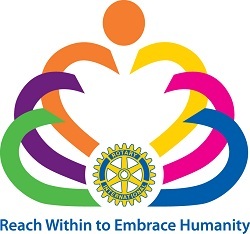 All 55 Rotary clubs in District 6040 are encouraged and expected to participate in this event to promote the health and welfare of the children, the poor, and the infirm in their communities. The positive impact these projects will produce for our communities, our clubs, and our members is monumental. Every club in our district can look out the window and find something that needs painted, repaired, picked up, collected, donated, or taught. Imagine the results! Invite your family, neighbors, business associates, another organization to get their hands dirty by participating in District 6040’s “Service above Self – Service Day”. What a fun, simple way to increase club fellowship and community awareness. Your members, old and young alike, will always remember this camaraderie building event. They will talk fondly about it until the next Service Day. Your community will remember the service your club performed. Follow this link to get ideas for your service day project.